The old McCafferty sauntered up to his set of sticks (literally sticks) and grabbed one to strike the pebble. “What ye be doin’ there, laddy?” asks his friend. “I be hittin’ me next shot, laddy,” he answers. “Oh no ye don’. That be my club ye takin’ laddy,” accuses his friend. Protection. 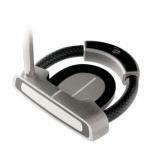 No one wants their expensive new titanium heads clacking against their fancy “White Ice” insert on their putter. Why not protect it with a soft cover to prevent that rattling around? Distinction. Sport the Tiger if you’re a wannabe. Sport the weird Ian Poulter head cover if you’re a little odd. 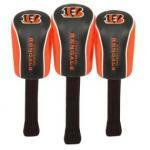 Or even show your team spirit with either the Florida Gators or Cincinnati Bengals head covers. Whatever you choose, it makes it super easy to find the club you want quickly, not mix it up with someone else’s, and makes a cool statement about you on the course. Cheap, cheap, cheap. Most of these products are ridiculously inexpensive — compared to the replacement or repair cost of a nice driver that gets all banged up in your bag. If you have done some serious trekking during your golf round like I have, those clubs can go over the river and through the woods until to the 19th hole we go. 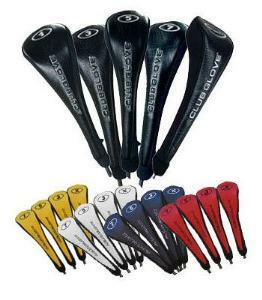 What is also nice is that most often you can find a matching set of club head covers for a very reasonable price — that way your bag doesn’t look like a Muppet just threw up on it or something. With the amazing variety nowadays, I’ll bet old McCafferty would be surprised at how his clever invention evolved over the years. Sing it with me: "Can you tell me how to get, how to get to Sesame Street??" Ahem, excuse me -- um, what the heck is this? !